Helpful staff and efficient service, arrived when said, well packed, and fitted straight in. If it lasts as long as the original, I will be very well pleased. THANKS. Good price , very fast delivery well packed and excellent communication via email . Excellent battery. Turns over the big twin with ease, plenty of oomph! Battery great started first time.delivery very good. Battery arrived promptly & was an exact replacement for the original one at a much better price. Very satisfied. 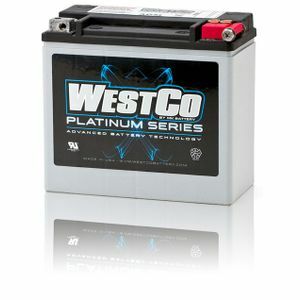 On advice from Kai, I purchased this battery for my Harley Sportster 883 [W reg.]. Efficient next day delivery and the unsuitable battery was collected at the same time. Would use this company again. Fantastic baterry, very powerful. Restoring my Harley Davidson, so the extra power from this battery is very usefull. Great advice and service from Tayna. Highly recommended.